A man from Haswell has been caught on camera flytipping in a County Durham village. 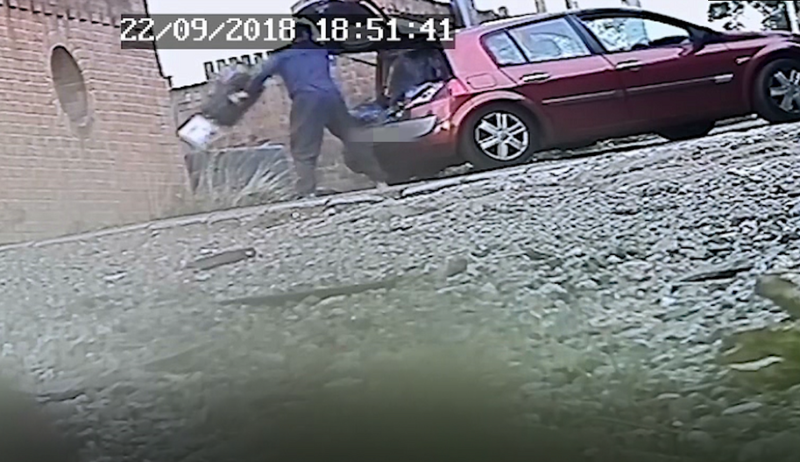 Thirty-year-old John Hall of Windsor Terrace, was caught on CCTV dumping waste from a vehicle on privately owned land off Black Lane, Wheatley Hill, and as a result has been ordered to pay at total of £692.63 by Newton Aycliffe Magistrates Court. As the location has been affected by flytipping in the past a covert CCTV camera had been deployed in the area. Whilst carrying out regular patrols a Durham County Council neighbourhood warden spotted the flytip, consisting of a mattress and general household waste. The warden reviewed the footage which showed a male pull up to the scene at 6.51pm on 22 September 2018 and proceed to deposit waste from his vehicle before driving away. In mitigation the defendant admitted the waste was his and he was regretful of his actions. He also claimed that he initially took the items to Thornley Household Waste Recycling Centre, Shotton Colliery, but was told that the items could not be recycled there and was turned away. Based on his means and a guilty plea Hall was fined £320 and ordered to pay £340.63 in costs and a victim surcharge of £32. Ian Hoult, Durham County Council’s neighbourhood protection manager, said: “Flytipping not only blights our beautiful county, it can land you with a fine of up to £50,000 and a criminal record.